Park Bench vs. Bus Bench Workouts – Which is best for you? One of my favorite guys to follow to in the strength training world is Dan John. I’ve written a lot about how his articles, books and seminars have influenced me and my training programs and he is someone I think anyone serious about getting stronger should invest some time learning from. The reason I like his stuff so much is that he has a very simple way of explaining complex training concepts. Since I’m not the smartest guy in the world I like when things can be simplified and Dan helps you cut through a lot of the hype and nonsense we tend to fall for. One of his concepts that I really like is that of the Park Bench versus the Bus Bench workouts. At first I thought it had to do with a training system based on using those benches to train on but I learned that it had to do with how you viewed your current training program. When you are sitting on a Park Bench you aren’t on a schedule, you’re just hanging out enjoying the day. You don’t have anywhere to be and so you can sit and enjoy the sun, trees and squirrels. You have a generally relaxed attitude towards how your day progresses. By contrast, if you are sitting on a Bus Bench then you are on a schedule and you need things to progress on time. You have somewhere to be and if the bus doesn’t show up on time you start to get stressed out. You are generally less relaxed about how your day progresses and you need for things to happen on time and in order. When you look at how these two attitudes apply to training you see why this is a good analogy. It sums up the two basic approaches we should have and highlights one that a lot of us miss. When you are doing a Bus Bench workout you have a specific short term goals. You need to improve your numbers in the gym by a certain amount every time you train to stay on track and reach your goals. You have to push and stay focused each and every time you train in order to make that happen. Park Bench workout are those where there is no specific short term goal. The workouts are still focused and productive, they just aren’t as rigid in their progression. You can relax a bit if things don’t go exactly as planned. While it would seem that the Bus Bench workouts are best, the truth is that you can’t keep up that type of focus and intensity for long. That’s why I used the term “short term goals” – if it is less than 8-12 weeks away then it isn’t a true short term goal. If you always feel like you have to be on that razors edge of training and fitness for some sort of short term goal then you’re body will force you to take a break. That’s why overuse injuries and mental burnout exist – they are your body’s way of forcing you to give it a chance to recover. That’s why Park Bench workouts should be the foundation of your long term program. These are the “punch the clock workouts” (another Dan John term) where you show up and put in your time. Nothing that requires you to eat chalk and get pumped up on a ton of pre-workout caffeine – just quality work that adds up and allows you to get better over the long term. One of the real secrets to improvement is to stop focusing on trying to force your 100% effort level higher and focus instead on nudging your 80% efforts higher. When you increase your 80% effort levels it will naturally improve your 100% efforts. 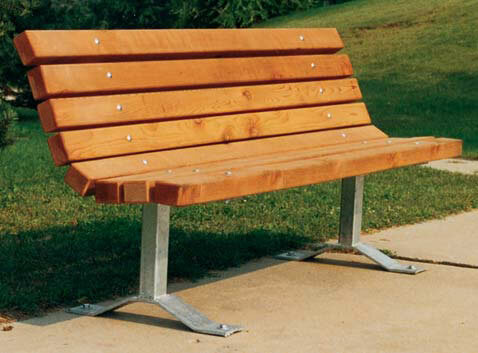 Park Bench workouts let give you the time to focus on improving the 80% so that the Bus Bench workouts are more effective at improving the 100%. The reason I bring this up is because right now is Park Bench workout time for a lot of you reading this. Now is not the time to be worried about highly specific and intense training, it is time to focus on the basic physical qualities that act as the foundation for that specific training. For the riders I train, I work in 8 week blocks. 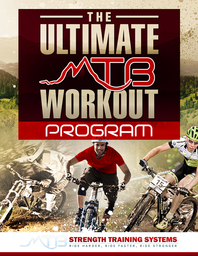 That’s means 8 weeks of Park Bench and 8 weeks of Bus Bench workouts which alternate leading up to the riding season. I’ll time it so that we are ending a Bus Bench workout block right before their season begins but we make sure we aren’t just hammering the pedal to the metal all off-season. You can’t just take several months off of training and try to cram it all in in a couple months or just keep hammering yourself all off-season. Make sure you spend some time on both the Park Bench and the Bus Bench this off-season and you’ll enjoy better results both next riding season and for seasons to come.